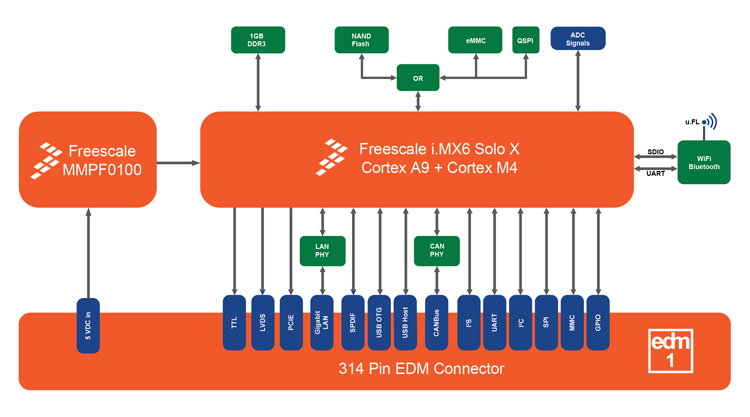 Freescale i.MX6 SoloX EDM Type 1 compact System-on-Module featuring ARM Cortex-A9 Single core + ARM Cortex M4. Dual gigabit LAN and optional WiFi/BT connectivity. Products are available upon request.